French lawmakers this week passed legislation that’ll ban the use of smartphones and tablets by students when school starts back in September. The ban, which will apply to pupils up to the age of 15, is designed to send a message to French society according to Education Minister Jean-Michel Blanquer. “Mobile phones are a technological advance but they cannot monopolize our lives,” Blanquer previously told LCI news TV channel. French high schools will be able to decide on an individual basis whether to impose a partial or total ban on connected devices. Exceptions to the law may be made for educational use, extracurricular activities and for students with disabilities. An earlier law passed in 2010 prohibits students from using smartphones during class but not between classes or during meal times. 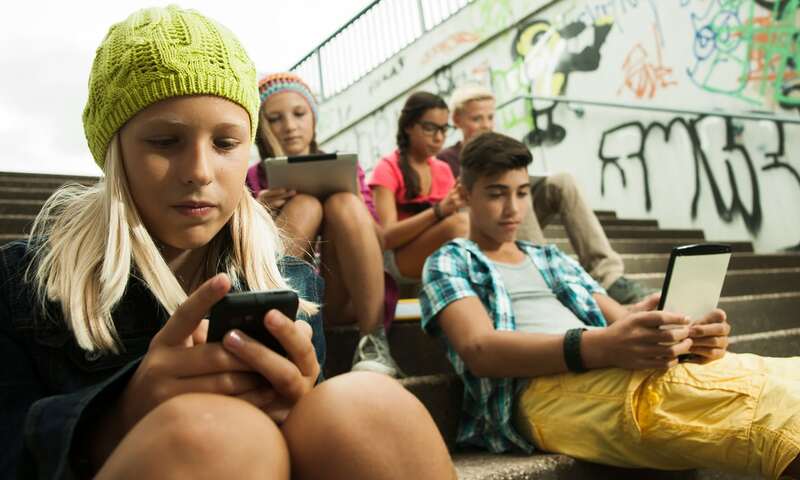 According to the Agence France-Presse, nearly nine in 10 French teens between the ages of 12 and 17 own a smartphone. It’s unclear exactly how schools will enforce the new restrictions as students will still be allowed to bring devices with them to school, they just can’t use them at any time during the school day. Tough to enforce, but I think it's a great call (pun intended). The level of addiction kids have to their portable devices can't be anything other than extremely unhealthy to their development. Roman Architect, LemmingOverlrd, Reehahs and 5 others like this. The ability to focus is becoming an endangered skill for sure. Roman Architect and dms96960 like this. Amazing that my generation did just fine without cell phones, in fact the only phone in the school was in the Principle's office and you NEVER wanted him to have you in his office and reach for that retched phone! RolandDeschain, Roman Architect, dms96960 and 1 other person like this. Easy to say when smartphones didn't exist then so there was nothing to tempt you. They'll enforce it for about a week and then forget about it. I wouldn't be so sure. From what I hear, the abacus was a hoot. You missed the joke. What he means is that when the Principal used the phone it was to call your parents and then you were REKT. France is in the deepest middle ages. The USA needs to pass a nationwide law like this too, but then the kids would whine, riot and stage protests, because they want to pass the laws now because they keep telling us they know better than adults do. I'm French and I'm kinda surprised that they had to make this a law, because that was already the case like since ages, I'm from the flip phone era, if you got caught with your phone you got it confiscated and then one of your parents had to come claim it in the principal office, I think it got even worse with the smartphone era, there's a tolerance before or after class if you have to contact your relatives at the entrance of the school btw. But who cares, you can survive 4 hours without instagram, you have friends in school !